Traveling across the country, heading out for new destinations and adventures, the gorgeous and talented host of popular show "Handcrafted America", Jill Wagner is living the life everyone has dreamt of. Admit it guys, as she's taking us cross-country to explore art and crafts, make us taste the lives of artisans, the stories of their families, their journeys and their dreams on her show. Doesn't it sound exciting? Although the host who rose to fame after hosting the famous comedy show "Wipe Out", life appears to be nomadic, she has got a beautiful home and a loving husband to look up to at the end of the day. She is a happily engaged woman to her longtime boyfriend and fiance, David Lemanowicz. Let's find out more details about the adorable couple. Falling in love at the first sight is cliche as we've all been there and it definitely takes a few dates and romantic dinners to actually fall in love. But for Jill and David, it took 17 long years to be the amazing couple that they're now. While guest appearing on the popular Hallmark Show, "Home and Family", Jill and her fiance shared the amazing story behind their first encounter and their relationship. Just wanted to take a second to say thank you to my fiancé who is my best buddy and partner in crime . You are my favorite.. period.... it doesn't get any better than you. It happened to be that Jill first met her now fiance David at a friend's party. 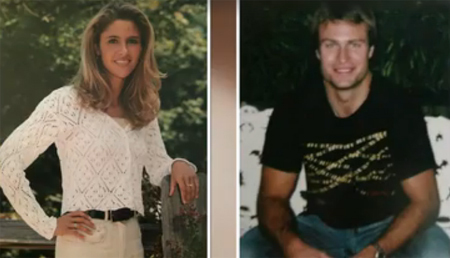 The 17-year-old beautiful Jill and 20-year-old college hockey player didn't fell for each other instantly. They went out for three times on casual dates and then the sweet Jill started falling for the dashing athlete. I used to sneak out from my house and from my dad and go see him. We went out three times and then, I never heard from him!" Jill was heartbroken at that time but who knew fate had some other way to introduce them again. The Blade TV series co-star, Jill went on a USO tour in Afghanistan and there she met her heartbreaker, David Lemanowicz. 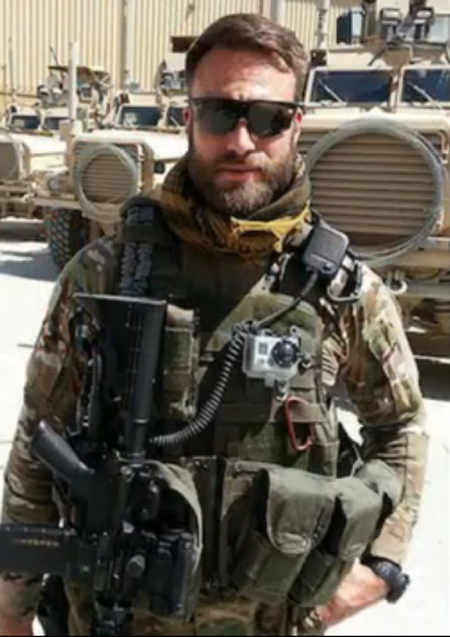 Coincidently, David worked in US Air Force as a special agent and was deployed to Afghanistan on a special mission. The two caught each other's eyes after so many years and went on for a casual drink to catch up what's been going on. Eventually, they started dating each other and got into a relationship and has been together, going strong ever since. Jill and the former professional goalie for NHL, David has been happily engaged as they got engaged last year on October 3, 2016. The duo got secretly engaged but Jill shared the precious moment of her life in Instagram and cherished the moment together. Ever since the pair has been inseparable and madly in love. Also, the two are having the best times of their lives and Jill often shares adorable pictures of her with him on her official page. Check them out! The soon to wed couples, Jill and David together have a daughter named "Lija" The perfect family of three live together in their grand mansion and look really happy and perfect. Jill and David soon to tie knots: Have registered their date too! The gorgeous actress Jill and former national hockey player David has finally registered for their wedding. The big day will be held on April 8, 2017, which will be celebrated at Raleigh, North Carolina, USA. As for now, the couple is planning their wedding as it's due next month. The couple is now happily married. they tied the knot in the month of April 2017 and seems very happy together. The cute posts of their Instagram account prove the beautiful relationship they share. See these posts of the beautiful pair!!! 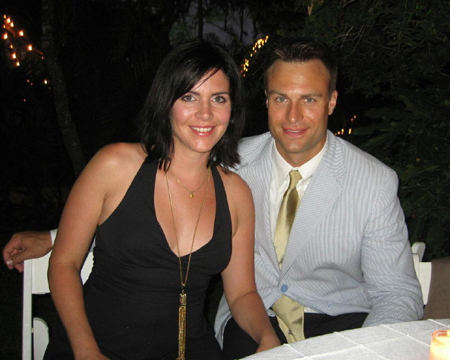 The former hockey goalie, Lemanowicz married his wife, Gina in 2005 prior to marrying Jill Wagner. Both have been dating for a long time before tying the knots. They lived in Edinburg with four dogs (“all mutts from the Humane Society”) but later the duo got divorced and the reason behind it has not been revealed by the athlete yet. As for now, David and Jill are really happy together and are soon to be married. We can't wait to see them walking down the aisle and start a beautiful family together.